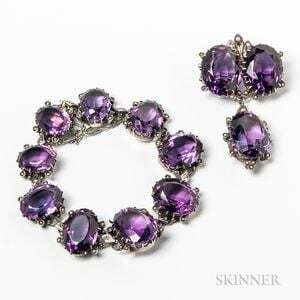 Silver-mounted Amethyst Bracelet and Brooch, bracelet lg. 7 1/2, brooch lg. 2 1/4 in.